1925, USSR, Sergei M. Eisenstein. 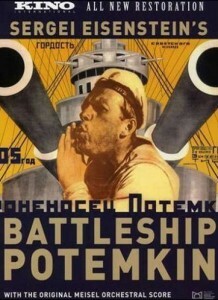 The classic film of the beginning of the Russian revolution. For more details, see Bronenosets Potyomkin on The Internet Movie Database.